This SHEMEKIA COPELAND gig poster is rare. It is very hard-to-find since it is a promo only available at ticket outlets and music stores to promote her concert. 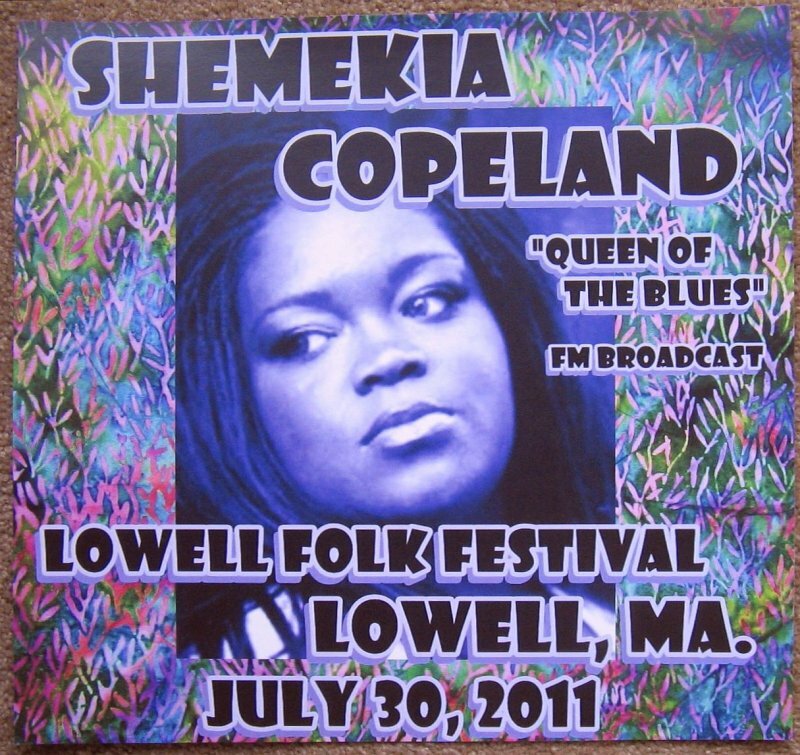 This poster is for her July 30, 2011 concert at the Lowell Folk Festival in Lowell, Massachusetts. Size is approximately 11 3/8" by 10 3/4". It is in great condition for display, at least Mint/Near-Mint. It will be shipped rolled in a sturdy tube.